Iraqi forces announced the start targeting Daesh sites within the city, after being expelled from the surrounding villages. 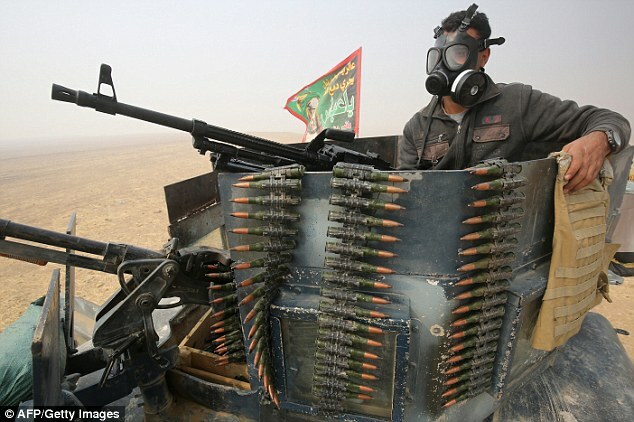 Iraqi forces have announced a few kilometers from the besieged city, but from the open West on Syria, the start of the bombing Daesh sites within the city, and was able to Iraqi forces operating out of Qayyarah the main base of the restoration of dozens of villages south of Mosul, and advancing towards the north through the valley of the River Tigris; the joint Special operations command announced the restoration of 74 area and the village on the road to Mosul. 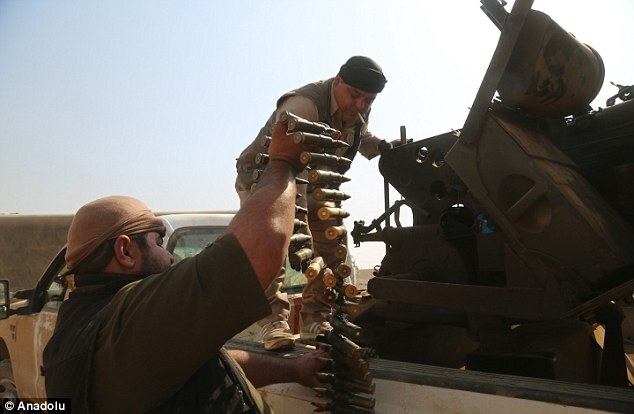 On the other hand, following the lead of Kurdish forces (Peshmerga) on the Eastern Front, replaced by Iraqi forces and the elite teams specialized in the fight against terrorism, and these forces managed to regain full areas of the Nineveh plain where Mosul, Iraq’s second largest city. In this context, Iraqi forces retook particular Bartila city, about 15 kilometers east of Mosul, and are now fighting for the restoration of Iraq’s most important croutons predominantly Christian cities. In the north-eastern front peshmerga forces took over several villages, was, however, the organization Daesh, and cracking down on Ba’shiqah controlled Daesh, while the international coalition led by Washington announced it had carried out 32 raids on the region in a week, he said he which destroyed 136 locations combat and 18 tunnels and 26 a car bomb. In another context, Anbar Operations Command announced Tuesday edit completely eliminate wet, after hours of violent clashes with al Daesh. The commander of the Anbar Operations Maj. Gen. Ismail Mahlawi in a press statement: that the security forces to Anbar Operations Command was able to edit the entire wetland spend, raising Iraqi flags on buildings. Mahlawi pointed out that the operations are still continuing to clean up the remaining pockets of terrorist Daesh hidden. In turn, the military media cell in a statement said that pieces of Anbar Operations Command imposed full control on wet spend, noting that the pieces are chasing the rest of the terrorists Daesh. To that, the governor of Anbar Suhaib al-Rawi said in a brief statement in full liberalization wet, raising the Iraqi flag over the government building to crack. He announced the appearance of Mohammed Salih, adviser to Iraqi Prime Minister Haider al – Abadi, the presence of positive indications for the existence of a wider future understandings between Baghdad and Erbil, while noting the former Iraqi planning minister, and the current parliament, Mehdi al – Hafez to the importance of national reconciliation and the elimination of sectarianism. The workshop addressed on Tuesday, October 25, 2016 from “Roudaoa AMRO” program that aired on Roudao TV and recorded on the sidelines of the third meeting of the Institute for Middle East Studies, “the fate of Iraq and Kurdistan in the post Daesh” and hosted in each of the appearance of Mohammed Saleh, Consultant Iraqi Prime Minister, and former Iraqi planning minister, and the current parliament, Mehdi al-Hafez. And Abizaid: “Let’s leave the past and to talk about the present and the future, in military service with the United States, which was signed by Finance Minister Hoshyar Zebari, a few months before the agreement, valued at $ 2.7 billion to provide weapons, allocated them to the Peshmerga $ 400 million, and this means that there are good intentions in this subject”. In another context, Hafiz said that “sectarian big problem in Iraq and the basis for many of the crises, and Daesh said just a manifestation of the intervention, which aims to promote sectarianism, and that the elimination of Daesh represent a fatal blow to sectarianism and we take advantage of this in the future to create an atmosphere of national tolerance among the population “. Kurdistan Regional Government has provided in cooperation with a German organization 0.2500 jobs in municipalities and water and sewage, roads and landscaping for both sexes of displaced people and citizens unemployed sectors. These workers began on Tuesday, October 25, 2016 the first day of work in 25 locations in the city of Erbil. The governor of Erbil, Nawzad Hadi, the reporter Roudao Media Network, Simand cream, that the average worker is paid of $ 25,000 dinars a day, while an experienced worker earns over 40 thousand dinars. It carried out the government’s plan in cooperation with the German organization GIZ, and took them to work for 3 months, and among those 2,500 workers more than a thousand of them are graduates of universities and institutes, and constitute 25% female while males constitute 75%. 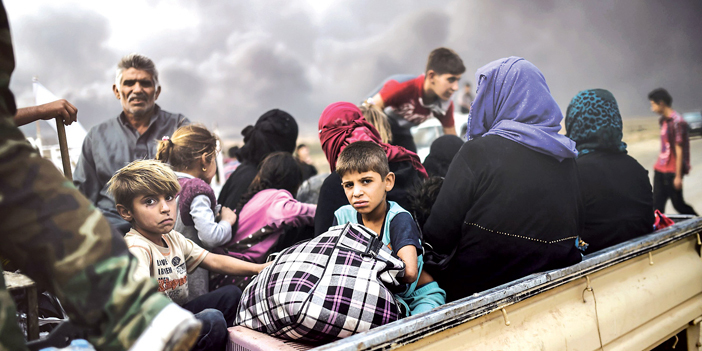 German organization and granted aid amounting to 48 million euros, for all Iraqi governorates and the Kurdistan Region, and in the first phase has been allocated 3,000,700 thousand euros to the province of Erbil. Announced Prime Minister Haider al-Abadi, on Tuesday, the cabinet’s approval of the investor’s identity and stimulate the private sector instructions, confirmed the launch of dues of farmers for 2016, while stressing issuing directives to government institutions on the adoption of e-governance to reduce operations and eliminate corruption on a standard routine in completing transactions, pointed to discuss the protection of the sports facilities in accordance with the training of security personnel to carry out that task. Haidar al-Abbadi, during a press conference held on building the Government Palace in Baghdad, attended by (long-Presse), “The Council of Ministers approved today during its regular, on instructions investor’s identity in order to activate this sector”, stressing at the same time, “start a dues peasants 2016 “. 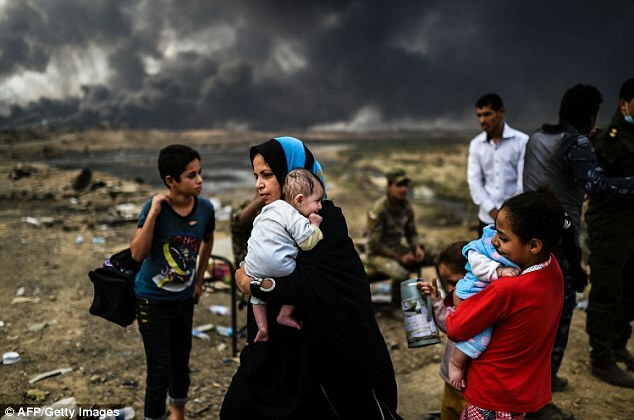 ISIS executed nine of its own members by throwing them into trenches of hot oil and burning them to death after they tried to flee the battle raging around Mosul. 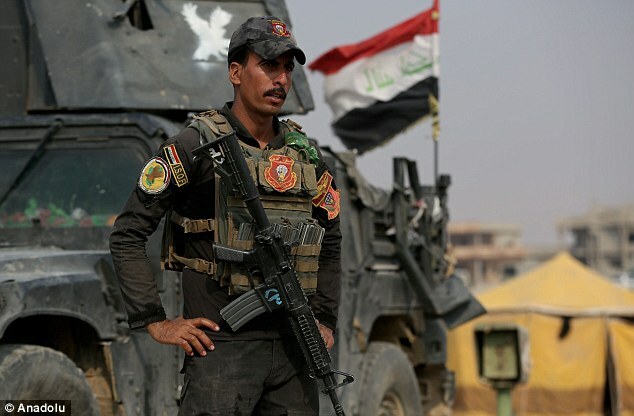 The city is the terror group’s last major stronghold in Iraq and last week government forces backed by the US launched an offensive to liberate the area. So far around 90 villages and towns under ISIS control have been freed in the past week and in some parts, coalition forces are just three miles from the centre of Mosul. However, today it was revealed jihadis have now taken control of the Iraqi town of Rutba as it shifts its area of control. 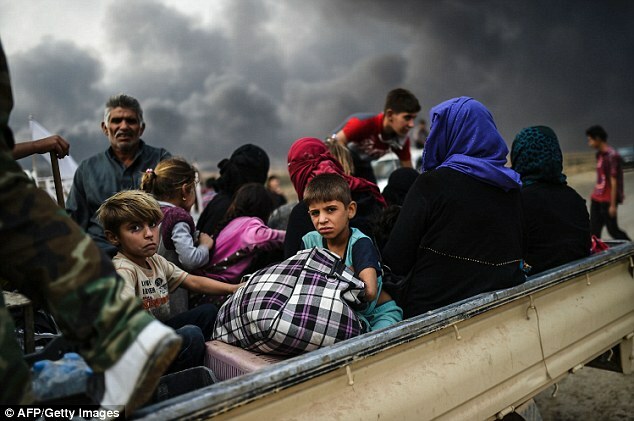 It comes as some ISIS fighters begin to flee other parts of the city and surrounding areas after being defeated by the Iraqi government, leaving commanders of the terror group to turn on their own members. Prime Minister Haider al – Abadi met in his office on Tuesday Central US Central Command , General Joseph Votal and his accompanying delegation in the presence of private US President for the international coalition against envoy Daesh Brett Macgork. The prime minister Haider al-Abadi, Tuesday, Iraqi forces engaged in “an advanced stage” of liberalization city of Mosul, as expressed his intention to continue the training of security forces and restructuring away from the aspects of “sectarian”, called for a move away from the officials selected on the basis of affiliation.